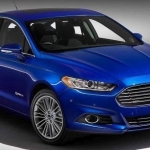 What’s the difference between the Fusion Hybrid and Energi? Is the 2019 Fusion Energi worth it? We review Ford’s sleek plug-in hybrid (PHEV) sedan. This feature 2019 Ford Fusion Energi Review appeared first on TractionLife.com by Chris Chase.